« Real Estate Properties By The Millions? 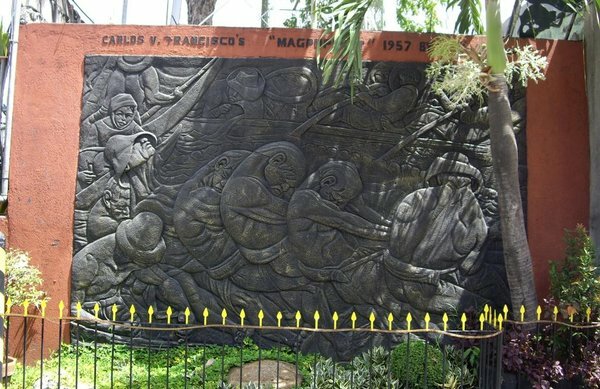 In one of our many road trips more than two years ago, we discovered an exciting place teeming with murals of one of our National Artists, Carlos V. Francisco popularly known as Botong Francisco. And here I thought, Balaw Balaw Restaurant And Food Gallery was enough for me but in a place where so many artists abound, you’ll be glad to discover something more. Botong Francisco, was the second Filipino artist to receive the title National Artist in Painting after Fernando Amorsolo. 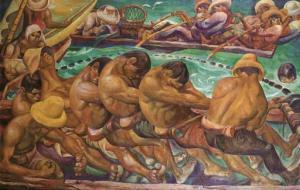 He is well-known in the art of mural painting. Dona Aurora St. in one such place , the whole stretch of the street is literally teeming with Botong Francisco’s artworks. The sun was too hot on our backs so Nissa and I had to take some quick shots of the place. I even saw maestro Lucio San Pedro’s lyrics and notes of his composition, Sa Ugoy ng Duyan but I was not able to record it in my camera. Bayanihan, which loosely translated in English means helping each other is a typical Filipino trait that is still being practiced until now especially in the province where you only need to invite neighbors and relatives to help you with a particular work or task and they do. Magpupukot means pulling in the net. The above picture is the actual painting where the mural was probably copied. Painting the lives of the fishing community was one of Botong’s favourite subjects. 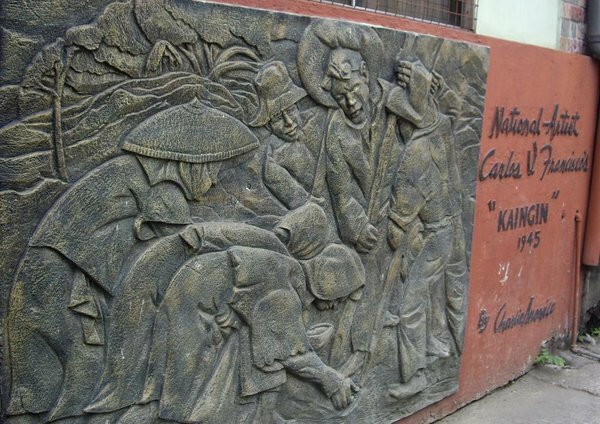 Angono, his hometown where he was based, was a fishing village. Pista, taken from the Spanish word fiesta (festival or feast) depicts revelry and thanksgiving. We celebrate many fiestas here in the Philippines. Such popular devotions and festivals are the Sinulog in Cebu, the Ati-Atihan in Aklan, and the Pahiyas in Lucban, Quezon to name a few. 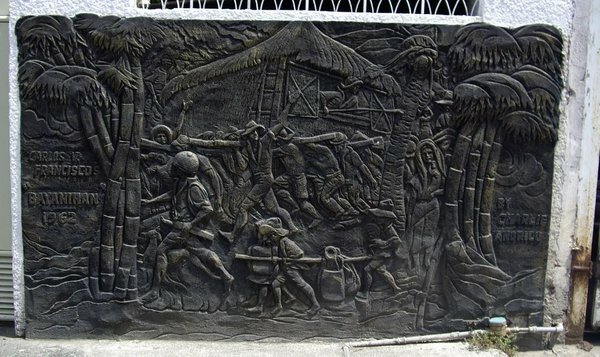 Philippine fiesta has its roots during the pre-colonial period. 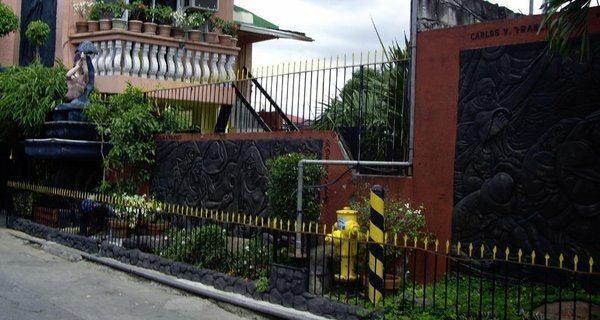 If you have the chance to visit Angono, visit Aurora St. and you’ll surely be surprised by the richness of murals painted in almost every wall of the houses there. And it’s more fun in the Philippines. 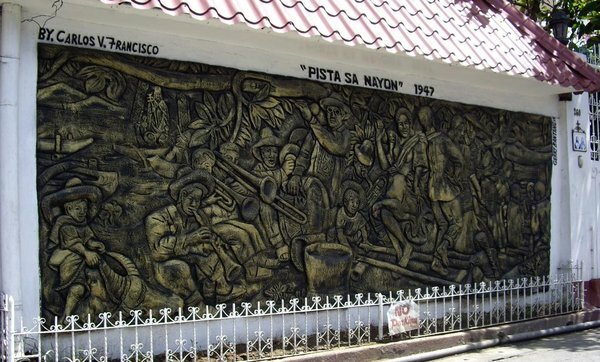 Botong Francisco spent time in kabulusan during his young years with his cousins na fisherman nuon – he painted magpupukot and bayanihan sa bukid – inspired in kabulusan scenery – he is famous artist there in the Philippines. Wow, thanks a lot for the info. I love Angono, so rich in arts from our well-known artists. Thank you too for dropping by. It makes me miss the place where I raised. Nice to meet you Elora. So you re from that lovely place.